Lizzy House Meadow Tour - Registrations Open! 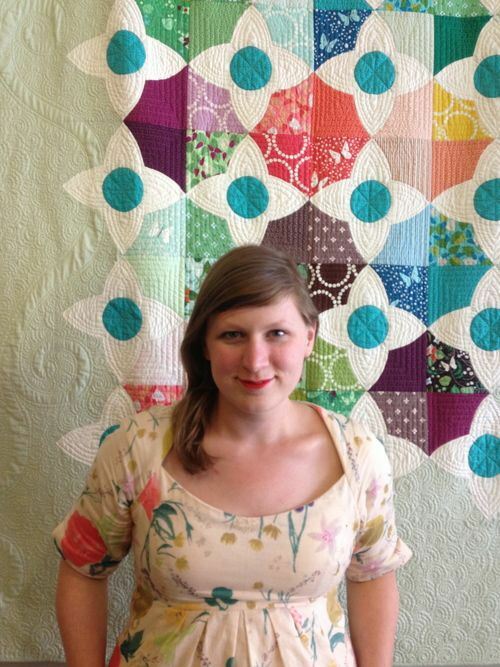 As I shared on Wednesday, Lizzy House is bringing her Meadow Quilt to Australia and New Zealand later this year. 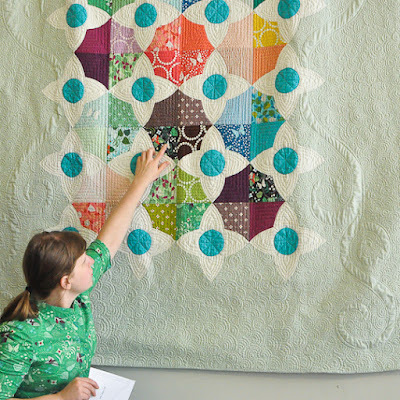 Lizzy has never released a pattern for the Meadow quilt preferring to personally teach the process. 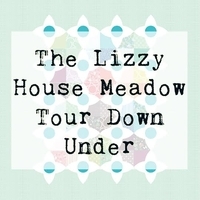 This is the first and likely last time that Lizzy will be teaching the Meadow in Australia so it’s a rare chance to learn to make one for yourself. The Aussie classes will be six hour workshops, including a lunch break, in which you will choose fabrics, learn the process of making the Meadow block and finish 2-3 blocks. Class sizes are limited. Bookings are on a first come, first served basis. The Perth class is being run through the Perth MQG. Registrations will be open to members later this week and to the wider public on Saturday,18th of July. The Brisbane class is currently open for registrations. Please follow the link below! Registration for the Melbourne and Sydney classes is now also open! The total cost for the class is $200 and is payable as a $45 deposit at the time of registration and $155 final payment one month before your class. To register for either the Sydney or Melbourne class please fill out this Google form (link provided below). Upon filling out the form you will receive an email confirming your place in the class (or on the waiting list if the class is booked out). Registrations will be processed in the order they are received. To confirm your booking you will need to pay a non-refundable deposit of $45 within 7 days of registering for the class. You may choose to pay this via bank deposit (preferred) or via PayPal and bank details or a PayPal invoice will be emailed to you. If you do not pay your deposit within 7 days your place in the class will not be held for you. It will be offered to someone else. The remainder of your booking fee will be due one month before your class and you will be sent an email reminder including bank details or a PayPal invoice as preferenced by you. In the event that a class becomes booked out, a waiting list will be created. If anyone drops out, those on the waiting list will be offered the vacated space in the order in which they joined the waiting list. If the waiting list for a particular class becomes large enough a second class in that city may be organised. This will be at the organiser’s discretion and is not guaranteed. If you drop out from the class your $45 deposit will not be refunded. There are two reasons for the deposit. The first is so that only people who are really committed to coming to the class sign up. The second is that to book venues for the classes and to fund Lizzy’s flights we will need money! The deposits we collect from attendees will allow us to do these things. What happens if I have paid a deposit and I can no longer attend the class, or the class is cancelled? If you cannot attend the class, or the class is cancelled, you will not get your deposit back. Is this class guaranteed to go ahead? No. These classes could be cancelled for a variety of reasons including lack of interest. However at this stage we have no reason to suspect that any of the classes will be cancelled. Who should come to this class? 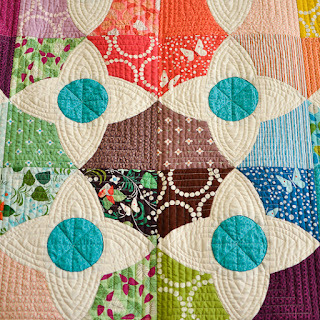 The Meadow quilt involves reasonably complex curved piecing. Participants will have experience piecing quilts, and may have worked with curved piecing before. You must have an open mind and be excited to learn something new! You will need to bring your own sewing machine and other quilting equipment (cutting mat, rulers, rotary cutter, etc). The cost of the class does not include any accommodation. If you are travelling to attend the class you will need to arrange your own accommodation at your own expense. Can I leave a comment on this post to reserve a spot in the class? No! Please fill in the Google form by following the link posted above. Hopefully I have answered most of your questions. If you do have any other questions please leave them as a comment at the bottom of this post. This way if others have the same question they can refer to my answer there. There’s been a rumour going around that Lizzy House will be bringing her Meadow quilt Down Under later this year. It’s my great pleasure to announce that the rumours are true! Adrianne and I have been busily arranging classes in our respective countries and are excited to release the class schedule today. Registrations for Sydney, Melbourne, Wellington and hopefully Brisbane will open on Friday, 10th of July at 6pm AEST or 8pm NZST. Please check back here at that time for all the details and how to register! Please note, spaces are limited and it’s first come, first served so be quick! The Perth class is being run through the Perth MQG. Registrations will be open to members later this week and to the wider public on Saturday,18th of July. We are also hoping to run evening trunk shows in some places so more of you get the chance to meet Lizzy! Lizzy, Adrianne and I are so looking forward to sharing the Meadow with you all! Crazy excited more like! Eek! Please find a blog button below if you'd like to share!